Deb, originally from Connecticut, moved to Yorktown, Virginia 20 years ago. She has been a real estate agent since 2003. Through the years, Deb has educated herself on the in’s and out’s of the real estate industry. Deb helps Buyers & Sellers alike with their needs. Deb offers experience, knowledge, marketing prowess, dedication, professionalism, and strong communication skills to her clients. Kevin, originally from Connecticut, moved to Yorktown, Virginia 20 years ago. A former Army vet now Real Estate Broker licensed in 2008 he knows the hurdles of Military Relocation and is very proud to specialize in military relocation assistance. Kevin’s primarily focus is Independence Property Management, broker owner, established 2011. Kevin establishes rent tiers, property upgrades, and marketing strategies to help you gain valuable insight and be better prepared for the future. Deb and Kevin Kelly have lived in Virginia´s historic Hampton Roads area for the past 20 years, originally hailing from coastal Connecticut. They immediately fell in love with Hampton Roads in part because of the delightful climate, the Southern hospitality, and the striking similarities to their old home along Connecticut´s Alewife Cove, near the mouth of Long Island Sound. Both their new home and their old home are centered around the ebb and flow of the water and the turn of the seasons. Both are filled with the beauty of nature, the richness of history, the honesty of industry. Both have military importance, with a strong shipbuilding industry. 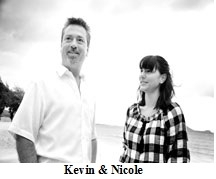 In fact, Kevin comes from a family of shipbuilders, having once been a shipbuilder himself. Positive family values with each contributing their own unique strengths and talents, to raise two lovely girls who are now adults themselves. 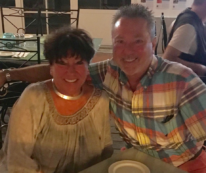 Now empty-nesters, they pursue their passion for cooking with the same spirit of teamwork, with Deb specializing in some great Italian cuisine (She´s Italian and makes a mean lasagna! ), and Kevin specializing in delicious soups of all varieties. “Knowledge is the power and key to being successful in anything we do in life. The more knowledge and experience we have, the better prepared we are.” Deb goes to great lengths to understand the client´s particular needs, finds ways to meet them, and zealously defends the client´s interests during negotiations. Kevin served in the military in the mid 1970´s, so he and Deb understands the challenges of military relocation that impact so many families in the Hampton Roads area. 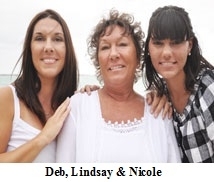 Deb is very proud to specialize in military relocation assistance – a claim they don´t make lightly. Combined, Deb provides a complete and well balanced service to buyers and sellers alike. However, it doesn’t do justice to her practice to characterize it as a “service.” When the signatures are scribbled on the closing papers Deb takes great satisfaction that she has helped make the client´s dreams a reality. Perhaps what separates Deb from most regulators , though, is that she considers this the beginning, not the end. Deb hopes to continue long term relationships with her clients throughout the years and hopefully the generations. “Nothing would be more exciting than seeing one of our dear clients´ children getting ready to purchase their first home and having them come to us because of the wonderful job we did for their parents and the positive relationship that we built with their family. Deb Kelly would love nothing more than to apply her talents and resources to help make your dream a reality. The real estate market can be challenging for sellers and buyers alike, and it is important to know the ropes and avoid the pitfalls on either side of the transaction. In this market, it really takes a professional. DEB KELLY …providing a superior level of Real Estate service to buyers and sellers in the Hampton Roads Area. Her areas of expertise are: York County, Hampton, Newport News and all of Hampton Roads. Visit her contact page at www.debkelly.com to let Deb know how she can serve you! Deb was great in helping us find our home in Yorktown after moving to the area from England. She showed us around the area and stayed connected with us while we were getting settled. She’s not only a great agent, but a great friend too! I have known Deb Kelly for some time and because of Deb’s work ethic I have and will always refer her to my friends for all their real estate needs. Her attention to small details most don’t see and her care she shows to customers sets her apart from all others. I am proud to be a friend and those who know her I can say with confidence are glad also. We asked Deb Kelly to be our realtor when selling our house because we had seen her face in many newspaper ads, in sale magazines, on for sale signs, and by word of mouth. We expected her to showcase our house using as many resources as possible and to get our house sold quickly. We were extremely pleased in the way she showed our house! She sent out fliers, listed us in the newspaper, and in the Homes & Land magazine. In addition, she used the internet and created an outstanding virtual tour of our house, provided us feedback on the people who looked at our house. We were extremely pleased with her professionalism as well as her “we’re going to sell this gorgeous home” attitude. She was always honest, friendly, and was willing to go out of her way to make us feel like we were her number one client. We would, and already have, recommended Deb Kelly & the Kelly team to use as your realtor whether buying or selling! She knows the market and she knows how to produce the results whether buying or selling! She knows the market and she knows how to produce the results you want! If you want to get it done, get it done right with Deb Kelly! I co-owned a house in Newport News with my sister. I was very unhappy with what the previous realtor had not done. After the house had been on the market for over 5 months with one or two showings, I visited the house in May. I was shocked to see that simple strategies for selling the house had been ignored. The realtor had not volunteered that simple landscaping can increase showings. I pointed out what I knew to be effective strategies and we implemented those ideas. But neither of us is a realtor and I felt that there must be other actions we could take to get the house shown and sold. I chose Deb Kelly based on the accomplishments she lists on her web page as well as having had a long discussion about what I expected from a realtor. She had ideas that I had not imagined. We made improvements suggested by Deb and Deb herself brought in items to make the house look warm and inviting, not stark and cold as most unoccupied homes appear. Deb brought a good offer within 8 weeks. She kept me informed during the closing process. Deb Kelly went over and above what I had expected and I would recommend this fine realtor to anyone seeking to sell a home in this difficult real estate market. Thank you Deb Kelly! 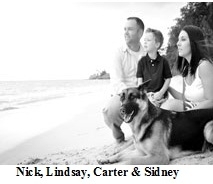 We are a military family and when we received orders to move from Newport News to DC, we were forced into short sale hell. Our first realtor did not know the unique details of a short sale and months were lost without any offers. A friend recommended Deb Kelly as a short sale expert and he was so right. Deb Kelly and her team are simply the best. It’s not just my opinion; it’s a fact. She knew how to price & market our house. She listened to our needs and concerns. She also used her short sale knowledge to call out the bank when its representatives tried to stall, deceive and relay inaccurate information. She constantly kept us updated on the status of our home, whether it was to tell us when we had a showing, following up with the agent for feedback, or when our house needed a quick cleaning or lawn maintenance to make sure it always remained show-ready. When we finally reached a level of frustration with our lender that we had to contact the CEO and our Congressman, Deb provided every detail of the entire process to the bank’s VP and kept in constant contact with them until they finally approved our short sale. If I could get our bank’s short sale representative to provide a testimonial on Deb Kelly, I can assure you this person would say Deb is the last person she would want to encounter on another short sale transaction. Is there a stronger testimony than that?? You can’t fake the level of caring and dedication Deb showed us throughout our ordeal. It was a long and frustrating experience but there is no one we would rather have in our corner than Deb Kelly and her awesome team. Thank you Deb and Kevin. You pulled us out of a pit we didn’t think we ever would. We will always be grateful. If any of your potential clients want more information from us, feel free to give them our e-mail address. We’d be happy to answer any questions and convince them that you are the realtor for them! We have tried, off and on, for 5 years to sell our house in Williamsburg, VA. Until we found Deb Kelly, we didn’t have very good luck. We are very pleased with everything about Deb. She kept in contact with us (we are living in South Carolina) through e- mails and text messages. She kept after the people in charge of our loan and such and made things happen for us. If you want to sell your house, call Deb. She will get it done. Thank you, Deb, for all of your hard work for us. Deb if a phenomenal real estate agent and sets the standard by which all other agents should be measured. Her motivation, dedication, and drive far exceeded my expectations and resulted in the successful closing on my first home! Specifically; – Deb was always available to answer questions and she listened to my concerns/desire. I never felt pressure from Deb or her firm. Whether it was an email, text or phone call, Deb was quick to reply with all the information that I needed. – Deb was very thorough in the process of putting in an offer and reviewing the contracts. Her thoroughness ensured I closed on a place with all closing costs paid by the seller (including lawyer fees). Her recommendations to use an attorney for the titling ensured everything happened as smoothly as possible. – Deb’s dedication to completing the purchase of my first home speaks volumes about her care for her clients. When there was an issue with getting documents from the listing agent, Deb drove all the way from Newport News to Norfolk (in the snow) and personally obtained the needed documents to ensure the closing process would occur in a timely manner. Deb’s overall performance was impressive and much appreciated. Her expertise and drive set her apart from other real estate agents. If/when I sell my place; Deb will be the agent that I use. Deb has my most ABSOLUTE HIGHEST POSSIBLE recommendation for anyone looking for representation in buying/selling a home/property! My experience with Deb began when I did a Google search for ‘Award Winning Realtors in Newport News, VA’, and her name popped to the top of the search results. As I found out through the experience of selling my home, she absolutely deserves that spot. I found Deb to be highly professional, courteous to me and my spouse, knowledgeable of the area, and a real pleasure to work with. She, along with her team (Kevin and Brad) took great care to patiently address my many concerns and respond to my many emails/texts/phone calls when it came time to sell the house. To her credit, and a great achievement in and of itself, Deb secured a buyer for our home less than eight weeks after listing, and helped me close less than a month after that. Despite a significant number of challenges imposed upon us by winter weather, rapid turnaround for closing, less than optimal comparable properties in my area, and issues raised by the buyer’s and their agent, Deb remained a solid and steadfast partner throughout the process, and guided the deal to a successful and satisfying resolution. I have bought and sold homes multiple times and have dealt with good, bad, and mediocre Realtors. Deb certainly ranks among the best I’ve worked with due to her high level of customer service, responsiveness, and honesty. She executed great expectation management with me throughout the entire process, and she didn’t overpromise and/or under deliver on anything we discussed. Our partnership was based on mutual respect and understanding, and she certainly ‘went to bat’ for me as I needed her to. As a military service member, I hold dearly those attributes of loyalty, honesty, and integrity—each of these Deb possesses in spades. I truly feel we have been “in the fight” together and that we came out safe, sound and unscathed on the other side. I highly recommend her as a Realtor to anyone looking to sell or buy a home in the Tidewater area, and I would refer her to my closest friends and family members. I work full-time as an RN and most times, I am not available to make calls or run around doing errands. My home sold and I needed to be out in 18 days. Deb took the reins on all the paperwork that needed to be gathered, leaving me to deal with my patients and packing up the house. She lined up the inspections and had her team do the few minor repairs that were found on the inspector’s list. I would highly recommend her. She is professional, respectful and got the process done with ease on my end. As first time home buyers, Deb made this a very easy process for our family. She was able to help us get a home that was perfect for our growing family, without having to be there in person for most of the process, as we were still living on the other side of the country. She explained and communicated everything with us very well, making it a much less stressful situation than it could have been. We are so thankful for her help in making this such a success for us and guiding us along the way with our first home purchase! I highly recommend Deb as your future realtor, and will definitely be referring her to anyone in the market for a new home! Deb was extremely professional and helped us negotiate even after we had gotten bad news from the bank; because of her hard work and persistence we were able to negotiate further and acquire what we needed for the bank to agree. We had an absolutely awesome time working with Deb and would recommend anyone to let her help you; she’s also great with children. We have a 2 year old daughter and she immediately loved Deb and Deb carried her around during an entire walk through and let her sit on her lap during closing. We will always be thankful for Deb’s knowledge, help, and unrivaled persistence. Thank you Deb Kelly for all you did for us!!! Working with Deb Kelly was wonderful!! We never knew that looking for a new home would be so difficult or trying. She guided us through all the steps necessary for buying our home. We picked out quite a few homes to go see and she always made time to take us to see each of them. Her expertise More was invaluable to us. She was with us every step of the way, and she always made us feel at ease. Deb was able to answer any question that we asked. We feel that we put her through the “wringer”, but she was always patient and kept her sense of humor. She is undoubtedly, in our opinion, the best real estate professional anyone could hope to have working with them in the quest to find their perfect home. We consider Deb Kelly to part of our family now. I was referred to Deb Kelly through Veteran’s United Home Loans. Once I spoke to her there was an instant connection. It was like I was talking to someone I’ve known already. She listened to what we wanted in a home and property type. Her response time to anything I ever asked was near instantaneous. Deb is friendly, outgoing, professional, courteous and so much more. When I felt like people were dragging their feet during the home buying process she handled it and made things happen and we met our deadline to close which we even moved up 3 or 4 days from the original requested date. In the end, Deb helped us find our dream home in a beautiful area of Williamsburg on a great piece of property Ernie call home. I literally can’t believe this is our home. It feels a little surreal. I wake up in the morning and have a cup of coffee on our big front porch and listen to the sounds of nature, all the birds chirping and the peacefulness that surrounds it…pretty amazing! We are definitely home. My wife and I couldn’t have been more pleased with the process. It seemed too easy like I should be doing more. That’s what Deb did for us…she made it easy! Deb was very friendly and personable from the first moment we met. I felt like she knew exactly what I was looking for after only one or two houses. She let me take my time at the properties I liked, and didn’t mind turning around and walking right back out the door if something clearly wouldn’t work for us. I had to bring my 3 month old along and Deb was very accommodating, even when he slowed us down a little. I really enjoyed my time with Deb, appreciated all her professional input, and her willingness to be flexible for our schedule and unique needs.